NeuroColor was founded by personality in business leader Dave Labno and by Dr. Helen Fisher, creator of the world’s most used personality assessment since 2006. Helen is a noted biological anthropologist, neuroscientist, author, speaker and Chief Science Advisor to Match.com. Over 14 million people in 40 countries have completed her neuroscience-based assessment. Dr. Fisher’s discovery of the four broad brain systems underlying personality challenges the 100-year-old notion of “personality type” and how we think about work as individuals and organizations. NeuroColor uses this discovery to help individuals and teams create radical new opportunities for growth, development and diversity not previously possible with “personality type” assessments. A language of four colors is used to represent the four brain systems. This makes the science easy to translate into strategies that help clients understand how people work, communicate, contribute and make decisions. The NeuroColor personality assessment results are transformed into a completely custom 22-page report unlike any on the market. This assessment can be used at the individual or team level setting to understand an organization, groups of consumers or an entire market. The NeuroColor team is composed of seasoned experts across multiple industries - all leaders in their respective fields. We hand-picked a dynamic collection of advisors and team members to ensure everything we do adds value to the business of our customers, putting our knowledge of neuroscience to practical application. Our common thread is a passion for maximizing human potential and improving the world of work - which leads to better outcomes for clients. Helen is a pioneer in examining the neurochemistry of personality. She is an internationally-renowned expert in biological anthropology, brain chemistry, neuroscience and personality styles and the most referenced scholar in the field of love and relationships in the world today. She is a Professor at Rutgers University and Senior Research Fellow at The Kinsey Institute. Her most recent book, Why Him? Why Her? Finding Real Love by Understanding Your Personality Type (Jan 2009, Henry Holt; now printed in 18 countries), discusses Helen’s biological theories of personality. The book stems from her work as the Chief Scientific Advisor for Match.com. Her original inventory has been taken by over 14 million peo­ple in 40 countries, via Match.com, and validated using brain scanning (fMRI) as well as more traditional methods in published academic articles. Helen has been on the national lecture circuit since 1983, discussing the evolution of human sexuality, romantic love, marriage, gender differences in the brain, the biology of personality, and the future of men and women in business and family life. Her lectures include speeches at: The World Economic Forum (Davos), TED, the international meeting of the G-20, The Economist, and many business, academic, museum, and town hall conferences in the United States, Canada, Europe and Asia. In 2014, she was designated a “TED All Star” because two of her TED speeches have been viewed by over 10 million people worldwide. Dave has been a consultant, speaker and trainer in the personality tool business for 20 years. He has personally delivered and facilitated training sessions around the globe and advised over a hundred thousand people in the practical use of personality assessments. Working across industries in the public, private, and non-profit sectors, Dave developed significant knowledge of personality assessment tools, innovation methods, and organizational development processes. He is dedicated to using the latest brain science to enhance people’s natural strengths, improve organizational effectiveness, and create high-performing teams. His clients include many large multi-national companies as well as federal and state governments and small businesses. Dave received a Master of Science in Creativity, Innovation, and Change Leadership from the International Center for Studies in Creativity at the State University of New York (Buffalo) and his BA in Philosophy and Political Science from the University of St. Thomas in St. Paul, MN. He is an experienced amateur archaeologist and historian, has completed eleven marathons, and holds two state masters swimming records. Dave lives in Minneapolis with his wife and four children. Christy focuses on executive coaching and development. She is dedicated to creating a more sustainable future through the development of leaders driven by performance, passion and purpose. She previously served as senior vice president, human resources and corporate sustainability for Jamba Juice and she was Safeway’s first vice president of sustainability, developing the company’s sustainability and corporate social responsibility strategy across the enterprise. Christy also served as Safeway’s vice president of leadership development and planning, where she led a team to develop and drive Safeway’s leadership bench strength and talent initiatives. Prior to joining Safeway, Consler held a variety of brand management and strategy roles, including at General Mills. She was named one of Progressive Grocer’s Top 100 Women in Grocery in 2010, 2011 and 2012. She is a founding member of the Sustainable Business Leadership Council for Menus of Change, a joint initiative of the Culinary Institute of America and the Harvard School of Public Health. Christy is a graduate of the Wharton Business School at the University of Pennsylvania, where she received her MBA, and Cornell University, where she received a BS in applied economics. She lives in the San Francisco Bay area with her husband and children. Friederike Fabritius is a leading expert in the field of neuroleadership. As an executive coach and leadership specialist, she has extensive expertise working with top executives from Fortune 500 companies. Clients worldwide have raved about her brain-based seminars and coaching sessions. A sought-after keynote speaker, she has addressed large audiences at events hosted by large multinational corporations. A neuropsychologist by education, Friederike focuses on using solid scientific findings to develop new methods and practices for leadership development. She is also an expert in designing learning systems that draw on the brain’s inherent capabilities to acquire and retain new information effectively. Friederike herself has used these methods to learn six languages that she now speaks fluently. After starting at the Max Planck Institute for Brain Research and then continuing as a management consultant at McKinsey, Friederike joined the Munich Leadership Group in 2010, where she has supported many clients in reaching their full potential and delivering peak performance at critical moments. She is the co-author of the book "The Leading Brain" (Penguin Random House) explaining how neuroscience can foster highest performance (published Feb 2017). Hans W. Hagemann, PhD is an author, key note speaker, creative thought leader and top executive coach in the areas of leadership, talent management, and innovation. He has extensive expertise working globally with top and senior management teams on fostering high performance and innovation. His work is based on intense knowledge of neuroscientific research and a comprehensive set of psychological and management skills. He is the co-author of the book "The Leading Brain" (Penguin Random House) explaining how neuroscience can foster highest performance (published Feb 2017). Hans is Managing Partner and Co-Founder of the Munich Leadership Group (MLG) with offices on three continents. MLG delivers high-end leadership development programs globally, change management initiatives, team development, and executive coaching to international companies. Hans is an analytical and holistic thinker with extensive experience in individual and organizational psychology. His practical approach and experience, combined with high quality standards and true passion for his work makes him an appreciated trusted advisor for many leaders who have experienced his creative professional approach. Hans holds an MSc and a PhD in Organizational Psychology from the Ludwig Maximilians University of Munich. Hans has been married for 20 years and is the father of 3 boys. Michael advises NeuroColor on technology selection and development as well as finance. Michael has extensive experience with managing information technology im­plementation. He currently serves as an executive heading commercial banking information services and tools at Wells Fargo. He is passionate about personal and team development and the impact it has on the organization. Michael has an MBA in Finance and Strategic Management from the Carlson School of Management at the University of Minnesota and a BA in Business Management from the University of St. Thomas in St. Paul, MN. Michael has completed 3 marathons and plays in golf and hockey leagues. He has spent 10 years mentoring and coaching disadvantaged youth and is the re­cipient of the prestigious Wells Fargo Volunteer Award as well as the Wells Fargo Diversity Excellence Award. Michael lives with his wife and sons in Minneapolis. Ed has had a distinctive career in executive development and strategic talent management, both as a consultant and a corporate practitioner. His career spans over 40+ years of experience, much of it building high performing organizations with particular focus on improving individual leadership skills, team alignment and organizational effectiveness. He successfully helped build the leadership team and supported the formation of Kodak Polychrome Graphics, a global joint venture of the Eastman Kodak and Sun Chemical Companies, eventually serving as Chief Personnel Officer. Earlier in his career, Ed served as the global head of Human Resources for EMI Music and PepsiCo International, and as head of Organization Planning and Development as well as In-Flight Services for American Airlines. His experience includes managing large-scale organization change and transformation initiatives, particularly those driven by M & A activity, start-ups, turnarounds and technology change. Ed currently serves on the Board of Stew Leonard’s – a leading dairy and food retailer, and as Board Chair at Blue Man Group Holdings, LLC. He also serves as Vice Chairman at MHW Ltd., a highly successful service provider and importer of wines and spirits headquartered in Manhasset, NY. Ed did his undergraduate work at Bucknell University, holds an MA in Industrial Psychology from Ohio University and a PhD in Industrial & Organizational Psychology from the Illinois Institute of Technology. He also served as an officer and faculty member at the United States Military Academy at West Point teaching and doing research to predict leadership effectiveness. Amy Posey loves sharing information about the brain to help people live more productive lives. She currently serves as a Neurofacilitator and the Head of Product Development for Peak Teams. Using the latest research in applied neuroscience, Amy creates and delivers innovative programs that help organizations scale their leadership. For the last 4 years she has designed events focused on leadership development, effective change, and communication–all grounded in neuroscience to help leaders accelerate business results. For the past 15 years, Amy has helped organizations tackle people-related challenges. Prior to her current role, Amy spent 10 years at Deloitte, delivering internal leadership development programs, and learning, change, and communication solutions to global technology companies. Her focus was working with complex organizations and managing programs across multiple functions. Amy earned her B.A. in English, Education, and Writing from Purdue University and her M.B.A. in Managing Change and Marketing from DePaul. She is currently finishing her Executive Masters with the Neuroleadership Institute. When not at work, Amy joins her husband, Bob, on spectacular paragliding hike-and-fly adventures to far-flung places across the globe. Elton has worked in the consulting and training space for over 15 years from Johannesburg to Toronto. 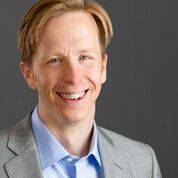 He has worked for several top consulting companies and has run his own successful consulting firm specializing in consumer-centric strategy, training and ideation, working with dozens of Fortune 500 companies around the world. He holds a BA in Marketing and Philosophy from the University of St. Thomas in Minnesota, and certifications from the Creative Problem Solving Institute for facilitating and the RIVA Institute for moderating. When not playing in one of New York City’s competitive soccer leagues or training for his next triathlon, he can be found volunteering time and talent to organizations like Agahozo Shalom Youth Village, a haven in Rwanda where HIV and genocide-survivor orphans are able to rebuild their lives. Elton grew up in South Africa, but now lives in New York City with his wife and son. Larry retired as Lead Client Service Partner at Deloitte. He worked with senior executives at companies that Deloitte identified as Global Strategic Clients with the objective of building long-term, mutually beneficial relationships across the client’s enterprise. Larry also worked with CFO's transitioning into new positions as a facilitator in CFO Transition Labs, a high intensity strategic planning session and was a certified instructor at Deloitte University, delivering classes in client experience, new manager and senior manager skills and Business Chemistry, among others. Larry has launched a successful consulting practice that focuses on executive on-boarding of senior executive roles where rapid assimilation, development and deployment of strategic direction, and delivery of results are critical to short and long-term success. He also provides results-oriented coaching for executives that wish to solve specific business issues, strengthen specific skills, eliminate performance gaps and accelerate results. Debra has over twenty-five years of varied experience in the organization development, leadership, and organizational effectiveness. She worked for The Boeing Company for 29 years, partnering with suppliers (large and small), customers, and subsidiaries throughout the United States, in Asia, the Middle East, and Europe. Her last five years at Boeing were spent providing training, development, and coaching for leaders at all levels through the Boeing Leadership Center. Debra recently started a consulting practice, working with clients to establish inspiring visions and develop strategies to achieve the visions. She works with her clients to create a culture of engagement, and supports this with organizational transformation models, development workshops, and coaching. She is passionate about helping organizations and individuals stretch and their fullest potential. She holds a Bachelors of Arts in Sociology from the University of Washington, and a Masters of Business from the International Institute of Information Management, as well as numerous professional certifications. Debra lives in a small mountain community, near Seattle, Washington. Leigh has over twenty-six years of experience in the field of organization development and effectiveness. Throughout her career, she has honed a broad range of expertise in all facets of OD/OE, and is passionate about enabling individuals, teams, and organizations to define and achieve success. She partners with clients to diagnose, design, and implement a broad range of initiatives and programs that drive business results through people. Her work includes leadership and team development, strategic planning, business process improvement, employee engagement and culture transformation, organization design, change management, and coaching. Leigh has worked for and with small, mid-sized and large global companies, including MeadWestvaco, Tredegar Corporation and AT&T. She previously developed a successful consulting practice, working with clients in a range of industries. She holds an MS in Organization Development as well as numerous professional certifications. Leigh lives with her husband in Richmond, VA.
NeuroColor works with over 30 certified NeuroColor Consultants at MLG across Europe, APAC and the USA to deliver high quality content to international organizations. As a specialist in the field of individual, team, and organizational innovation, effectiveness and leadership, Russ has facilitated programs from Spain to New Zealand. In addition to training executives and managers in deliberate creativity, innovation, and leadership, he comes with certified expertise in Polarity Management and Emotional Intelligence as well as numerous personality instruments. Known for galvanizing workshops with his energy and comedic timing, his step-by-step approach enables participants to apply innovation concepts immediately and make on-the-spot change. His versatile approach to training is also reflected in his education: Certification from the prestigious Second City Conservatory and an MS in Creativity, Innovation, and Change Leadership from State University of New York. When he’s not training or consulting, Russ practices aikido and teaches graduate courses at the International Center for Studies in Creativity at Buffalo State College. Russ is also the co-founder of the Creative Youth Leadership Program, which is dedicated to enhancing leadership, communication and problem-solving skills among teens. Mary Ellyn Vicksta is an expert in the areas of consulting, training, team effectiveness, consumer insight and innovation. Mary Ellyn spent 27 years at Kimberly Clark in Product Development, Marketing Research, and the Innovation Team. During her last 10 years she was in a centralized role where she developed an internal innovation development practice that included seeking best practices in the areas of creativity and innovation, developing and applying creativity and personality style in facilitated sessions, and training at all levels of the organization. She is a master facilitator of several training and facilitating methodologies as well as personality style instruments, pioneering use of these tools in diverse applications from consumer research to new product development to executive coaching. Mary Ellyn has been a member of the numerous conference advisory boards and has received numerous awards for her work. She is a frequent speaker at conferences around the world. Often you can find Mary Ellyn on a bike trail, hiking or taking photos. She lives with her husband in Appleton, Wisconsin. Numerous organizations have internally certified their consultants to work with NeuroColor. Lisa brings over 15 years of experience in the areas of leadership development, mentoring, facilitation, coaching and business leadership to NeuroColor. She uses education, humor, intuition and an in-depth understanding of personal and organizational development to assist clients in creating strategies for growth. Lisa has a strong background in leadership strategy and program development, training development and project management both at Target Corporation and Best Buy. She is a certified Project Manager (CMP), certified coach, and certified in multiple personality tools in addition to being and an experienced trainer and facilitator. She coordinates and implements important internal and external projects in addition to working with key accounts. Lisa enjoys being active outdoors with her family, volunteering her time with youth in the community as a track coach and youth religion leader. Lisa lives in Minneapolis with her husband and two children. Liisa brings a passion for the nuance of language to NeuroColor where she creates and coordinates content for the custom NeuroColor report. An attorney by background, she spent the first part of her career in estate planning helping high net worth individuals put their wishes for a lasting legacy into writing. 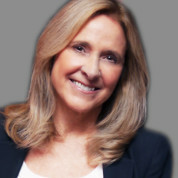 Liisa also spent more than a decade in the marketing departments of several large financial planning corporations – Allianz, American Express Financial Advisors (now Ameriprise) and AAL Capital Management (now Thrivent), developing marketing materials that translated the complex legal and tax jargon of financial products into understandable concepts for the sales force and clients. Most recently, she served as an executive responsible for providing expert consultation and marketing material on advanced tax and financial planning products to a sales force of over 100,000. Liisa received her BA in Business Administration from Augustana College, Sioux Falls, SD and holds a JD from the University of Minnesota Law School. She lives in Minneapolis with her husband and four children. Jeff is responsible for administration of the NeuroColor Inventory, production and delivery of client material for sessions as well as supervising external vendor production of materials for NeuroColor. He has almost a decade of experience in the personality report business, successfully supervising and delivering materials for tens of thousands of client participants. In addition to his work with NeuroColor, Jeff is an independent business owner of two other businesses. In his free time, he is an experienced amateur archaeologist and active in his church and community. Jeff has a BA in Business Management and Finance from Northwestern College in MN. He lives in Minneapolis.